I’m thrilled to announce that I’ll be exhibiting at Emerald City Comicon this weekend! 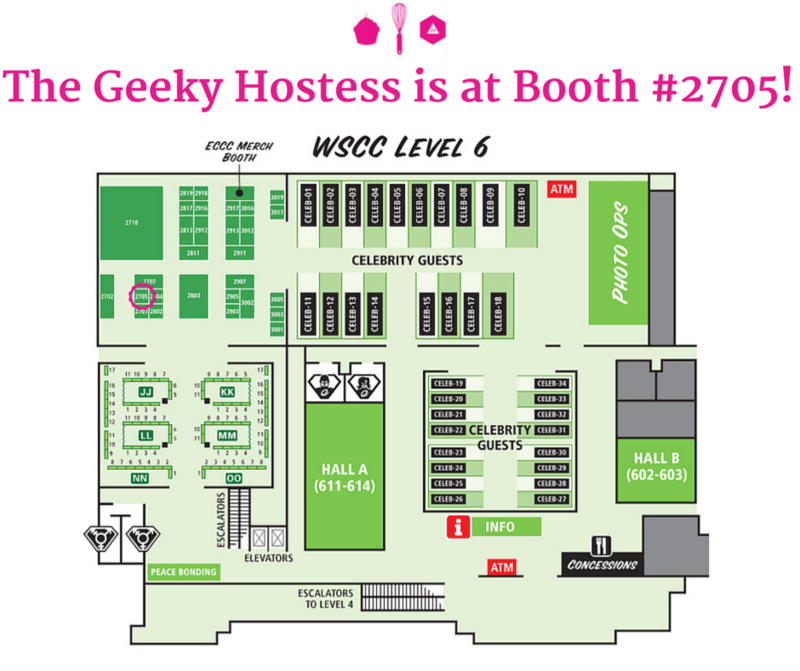 You’ll be able to find the Geeky Hostess booth in all of its pink and cupcakey-glory on the 6th floor of the convention center (booth #2705!). In addition to saying “Hi” to me and exchanging hugs and pleasantries, you’ll be able to purchase Geeky Sprinkles, recipe cards, and aprons at special discounted convention prices! You’ll also have access to some very limited edition sprinkle kits, including sanding sugar that was previously only available through the Kickstarter. It gets even better: If you get hungry during the con, head to Wild Rye or Solera (both in the convention center) to purchase a cupcake with Geeky Sprinkles on them! Will you be at Emerald City Comicon? What are you looking forward to there?